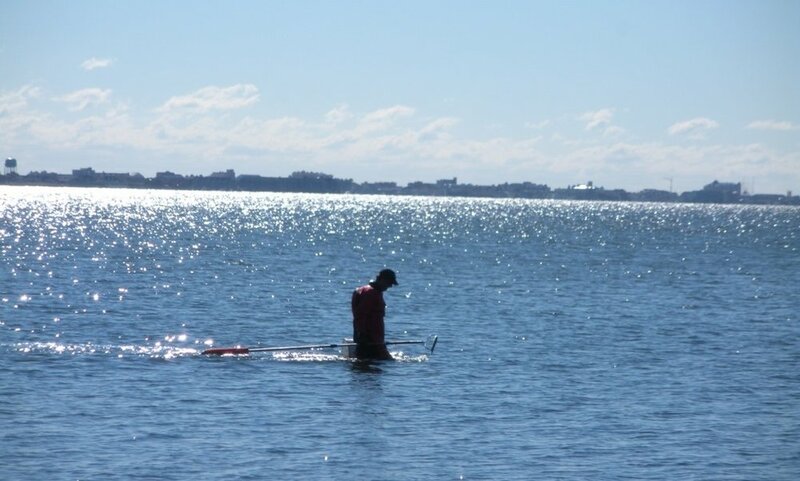 Isle of Wight Submerged Aquatic Vegetation Transplant Monitoring — BayLand Consultants & Designers, Inc. The Isle of Wight is located in Isle of Wight Bay and Assawoman Bay near Ocean City, Maryland. The island is part of the Maryland Department of Natural Resources public land system managed by the Wildlife and Heritage Service. 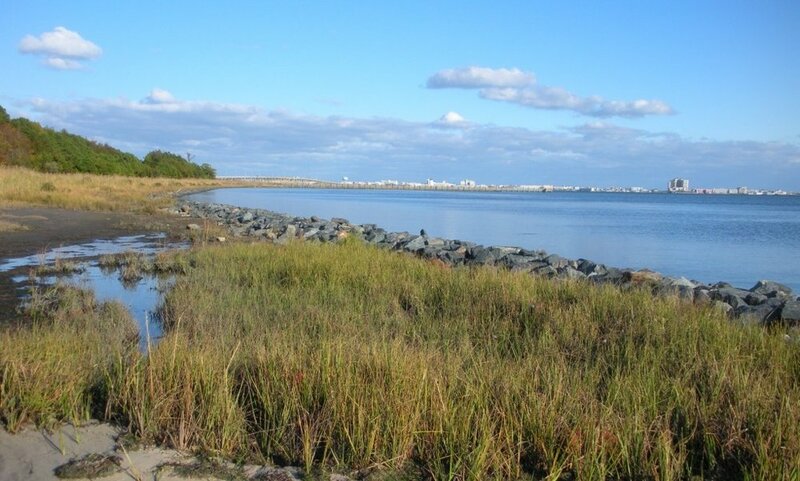 In 2003 and 2004 the U.S. Army Corps of Engineers (USACE) constructed a shore erosion control project along the eastern half of the south shoreline to halt extensive and ongoing erosion. The project included a near shore low stone sill with tidal marsh and an extended tidal marsh at the easternmost end of the south shoreline. Beds of the submerged aquatic vegetation (SAV) Zostera marina (eelgrass) existed within the proposed USACE construction area. Seagrass Recovery, Inc. (SRI) originally from Ruskin, Florida was contracted by the USACE in 2002 to salvage and relocate SAV from the construction site (donor site) to a Transplant Site located along the western end of the south shoreline where SAV was not growing. The USACE approved the use of SRI’s patented mechanical SAV transplant system, “GUTS” (Giga Unit Transplant System), in order to evaluate its use as compared to traditional manual digging and replanting of individual SAV shoots or groups of shoots. SAV transplanting was performed in September and October of 2002. SRI transplanted 165 four-feet by five-feet “transplants,” which included approximately eight inches of substrate, from the construction site to the Transplant Site. The 165 units were transplanted into two areas within the Transplant Site. BayLand was contracted to design and implement an independent monitoring program to determine if the transplanting was successful. Monitoring was performed immediately after transplanting in October/November 2002 and was repeated in October 2003 and October 2004. A Final Monitoring Report was released in January 2005. 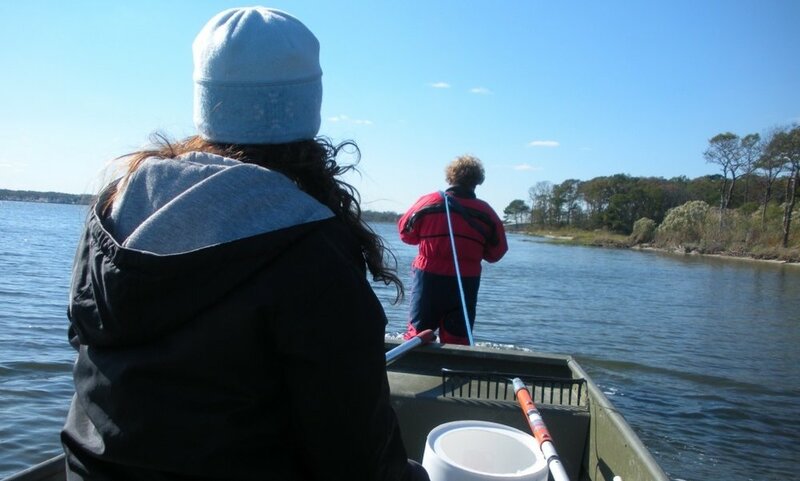 As a follow-up effort to help evaluate the long term success of the transplant project, BayLand was contracted again in October 2008 to conduct a field run SAV survey of the Transplant Site and the area surrounding the site. The 2008 survey and this update report is designed to supplement the 2005 Final Monitoring Report and also serves to characterize the general SAV environment at the Transplant Site.